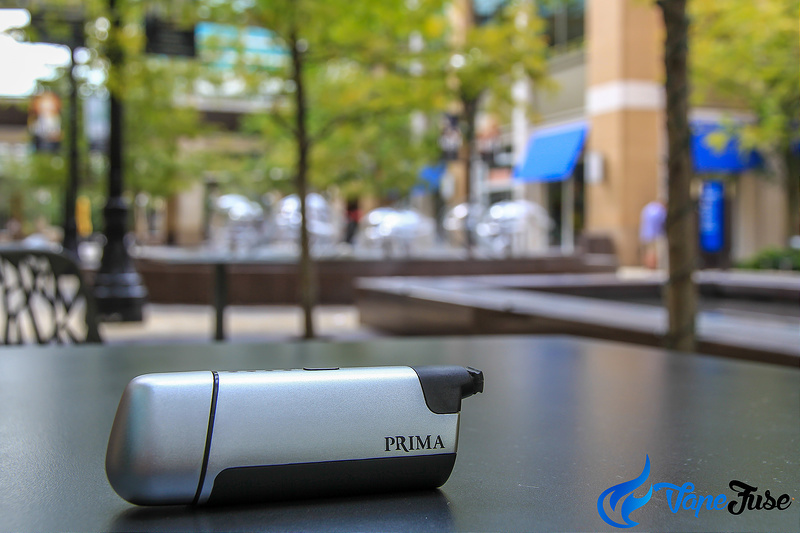 Since the introduction of the portable herb vaporizer some 17 years ago, the on-the-go vaping experience has been improved exponentially! Today there’s a plethora of innovative portable devices on the market that are all dedicated to providing you with quality vapor. Gone are the days of having to package up your clunky desktop into a duffel bag and hope that someone at the party will have an extension cord so that you’ll be able to vape on the go. These days you can experience the best quality vapor on the market without having to stretch your pockets. That’s a double entendre. Some vapes, like the CloudV Platinum Portable Vaporizer and the X Max V-One Plus, are pocket-sized and are priced at less than a hundred bucks! 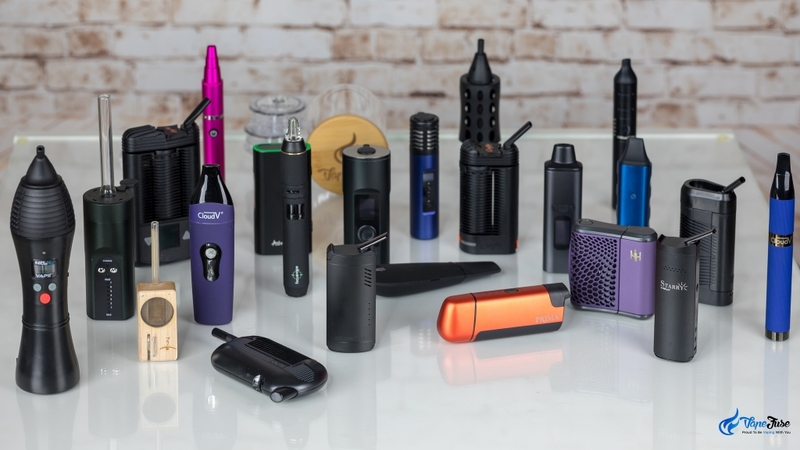 Whether you’re looking at purchasing a portable vaporizer, or simply interested in how a vape pen works, check out my walkthrough guide below and get in the know. For the original portable devices, discreteness and aesthetic value were less of a concern. As long as it was portable it was good enough. Fair, the technology wasn’t anywhere as near as advanced as it is today; but these original devices were something to behold. Some early models like the Vapir NO2 Portable Vaporizer pictured below are a little impractical size-wise, however, it is actually decent in producing herb vapor. This model specifically is praised for its quality vapor production due to the flavor profile it is able to create. These early models set the stage for some fantastic innovations, with new and improved products being released onto the market each year. In the past five years, we’ve seen the emergence of the highest calibre of portable devices to ever hit the market. These ultra-premium portables include Storz & Bickel’s Crafty, the Pax series, the Da Vinci IQ and most recently, the updated Solo II & Air II models from Arizer. 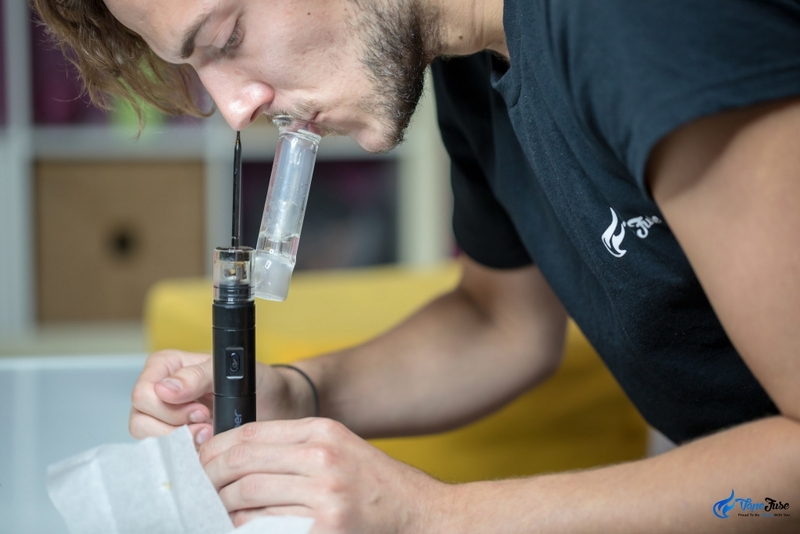 Arizer caused a wave last year with the updated release of the new models, which evolved from the traditional Solo and Air to feature a new fully digital user interface. 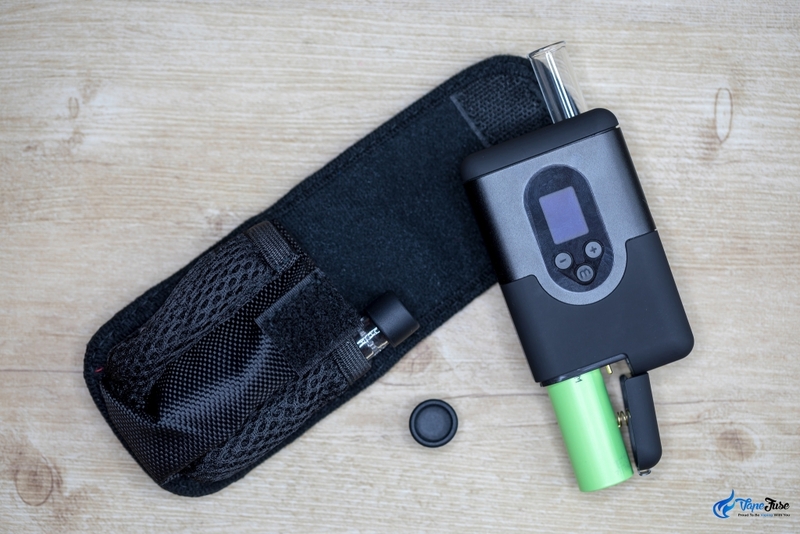 Like with the Arizer range of vaporizers mentioned above, many manufacturers have shifted to a digital display and full-spectrum temperature control instead of continuing with single-setting analogue portable vapes. This has been a blessing for herb connoisseurs that wanted the ability to alternate between temperatures freely and with ease. Digital displays have gone even further than that, with some portable vapes having a number of settings displayed on the screen at once like the ALD Amaze WOW. 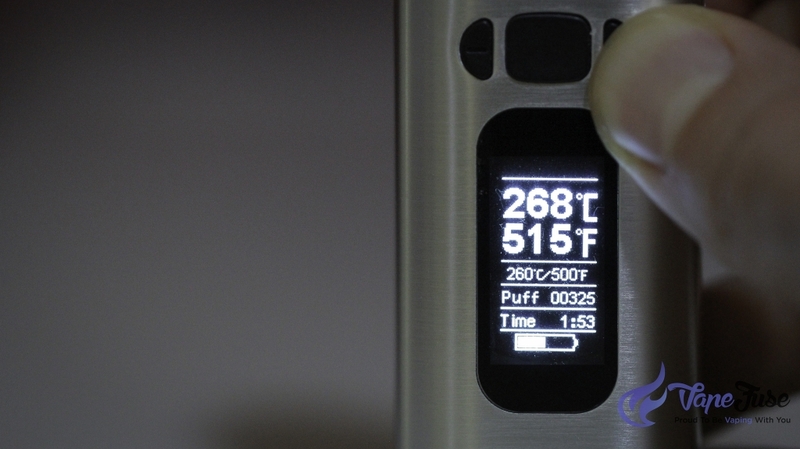 Being able to customize the user experience is a huge purchase factor for portable vapes, with many now giving you the ability to set session length, light settings, and alternate between Celsius and Fahrenheit. That being said though, analogue-display portable vapes are still capable of producing some amazing quality vapor. Devices like the Vapir Prima, which I reviewed recently, and the original Arizer Solo and Air are still top contenders in terms of performance and vapor quality. However, in a world that is shifting to a digital existence, it’s no wonder the vape market is following suit. Aside from producing marginally better herb vapor, desktops have one other advantage over portable vaporizers; namely the fact that they don’t need to be recharged. Obviously, that’s a given, as you can’t be expected to cart around a Zephyr Ion and a generator to get vaping on the go. Battery life was often an issue with portable devices, and charging was only really possible via the use of included DC charging outlets. It wasn’t until a few years back that devices featuring removable batteries and USB pass-through charging came into effect. Including a removable, rechargeable lithium battery, gives you the opportunity to go away for days at a time without having to worry about charging your portable device. It gives a whole new meaning to the word portable. These days, the batteries are getting more and more affordable so many portable vaporizer owners are investing in additional batteries for camping trips or in case of emergency. 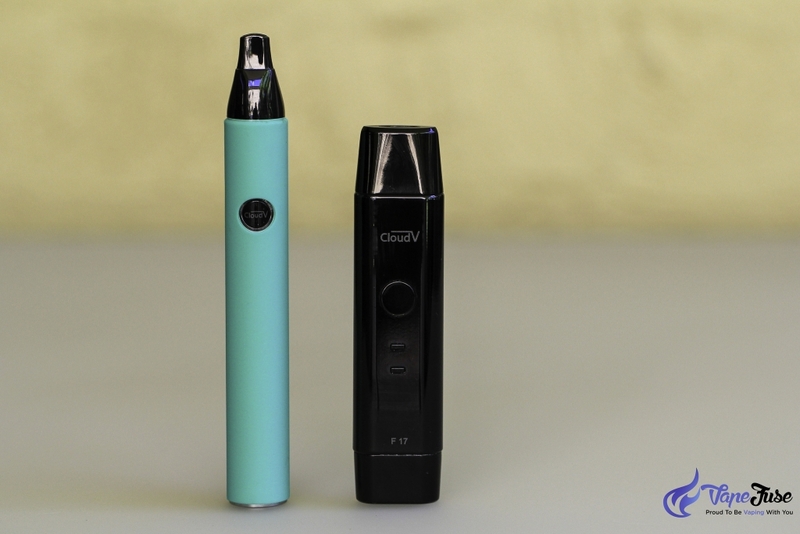 Some models, like the recently released Arizer ArGo, come with a removable battery that can be charged singularly inside the device with the Micro USB charger, or simultaneously with an additional battery charger. Now you saw how impractical the earlier models of portable vaporizers were when I showed you the Vapir NO2 above. That’s not to discount the device’s quality, it’s merely a comment on the vape’s bulky size and total lack of discreetness. These days, portable vaporizers have been compressed down to a much smaller device that fits inside any handbag or pocket. These alterations in size surprisingly result in only a small reduction in battery life compared to larger models. The Arizer ArGo, for example, has exceptional battery life and is a fraction of the size of other portable vaporizers. 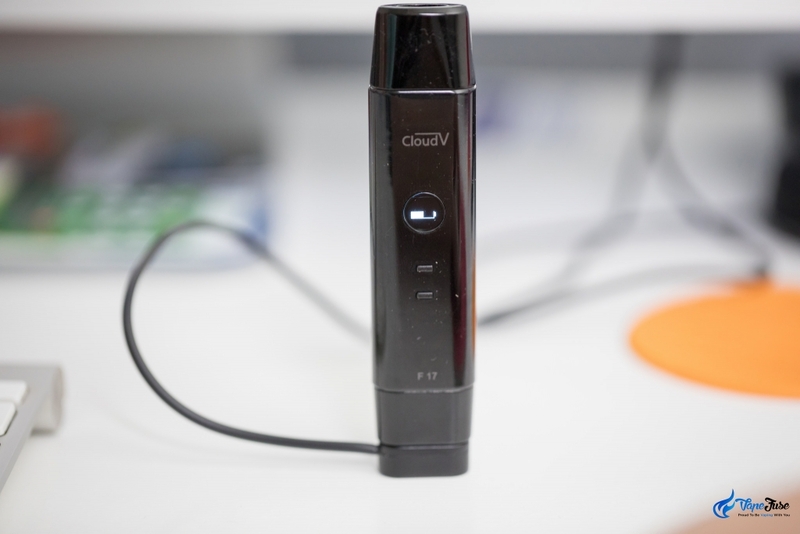 The same can be said of CloudV’s miniature devices; the CloudV Phantom Mini and the Cloud F17. Both devices measure up at less than 5.3″ (11cm) in length, yet are able to produce vapor of a premium quality. The F17, in particular, is a personal favorite of mine due to the insane level of discreetness, magnetic snap-on mouthpiece and charger, as well as the full spectrum temperature control. Not bad for a vape the size of a Mars Bar. Then there’s the Cloud Vape Pen which goes one step further towards discreetness and portability by concealing itself inside a ballpoint pen. 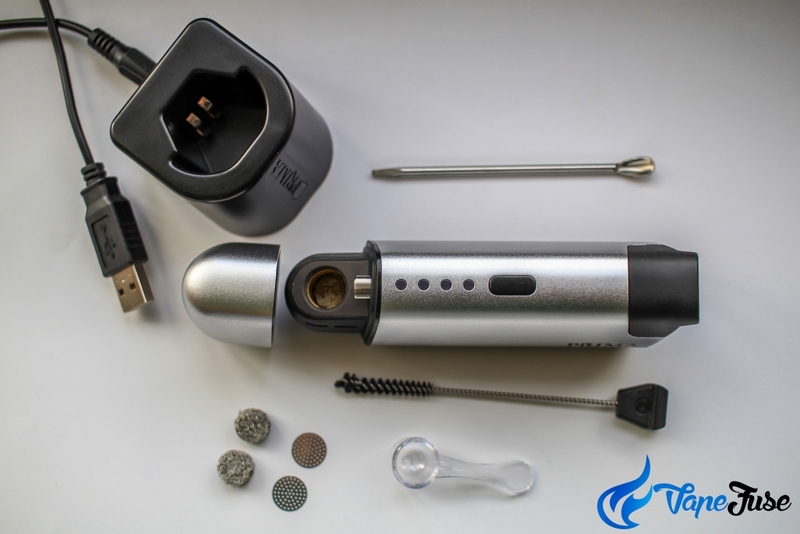 The device is great for vaping both liquids and concentrates with the included interchangeable atomizers, and doesn’t look out of place in any setting. Some premium portable devices even come with their own apps! 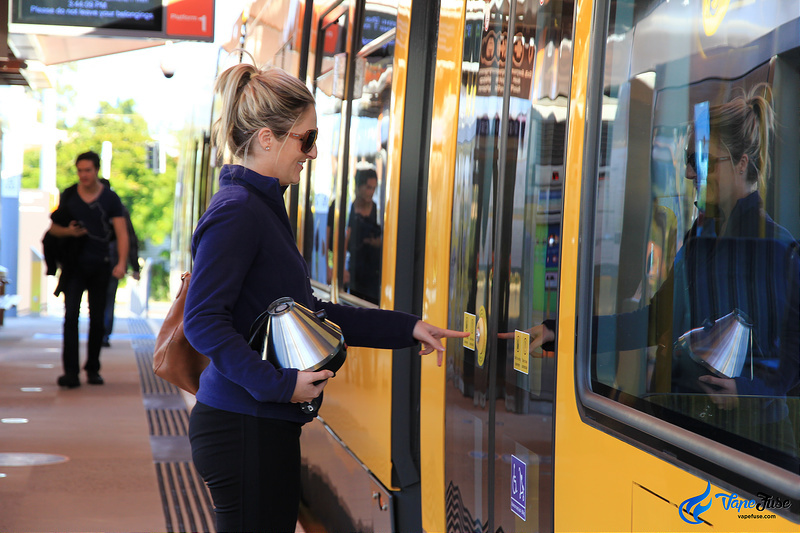 The application connects to the device via Bluetooth and allows you to set temperature and alternate between settings from your Smartphone. 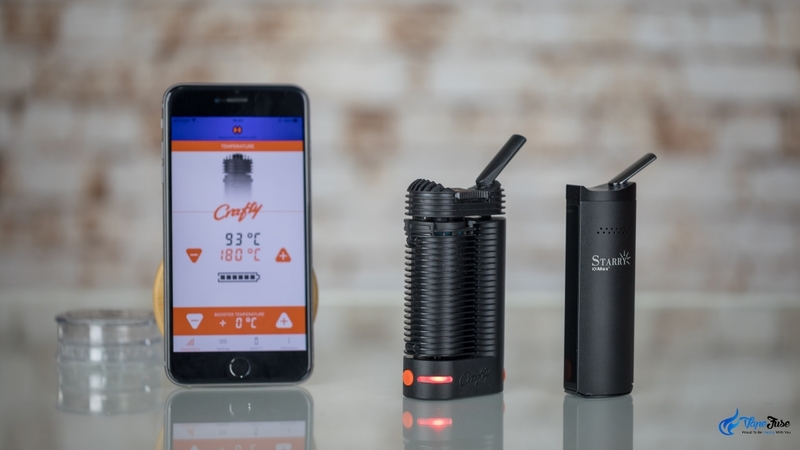 The Crafty by Storz & Bickel is one of the first devices to have this as an included feature, with the app allowing you to set the temperature, booster temp as well as gain insight into the device’s operating system. 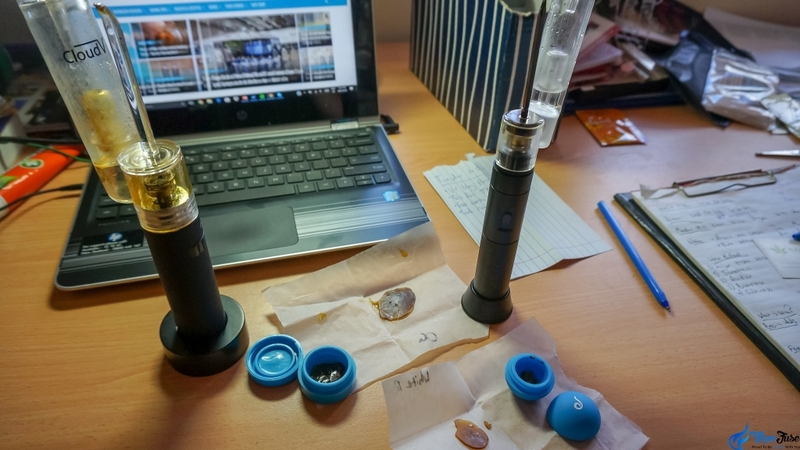 Around the time concentrates started taking off, a lot of work went into developing a range of vaporizers suitable to the high temperatures needed to vaporize waxes and oils. While liquid pads have been an included accessory among vaporizer brands for decades, with even the Volcano Classic featuring the concentrate adaptor, only the past five years has seen the emergence of quality wax vapes. Vape pens like the X Max Stark and CloudV Platinum Vaporizer are discreet, affordable and efficient. They utilize a heated coil atomizer to vaporize the viscous substance quickly and with ease. VapCap Review: Which DynaVap is For You? The CloudV ElectroMini and Dr Dabber Boost pictured above are the next step up from a wax pen. 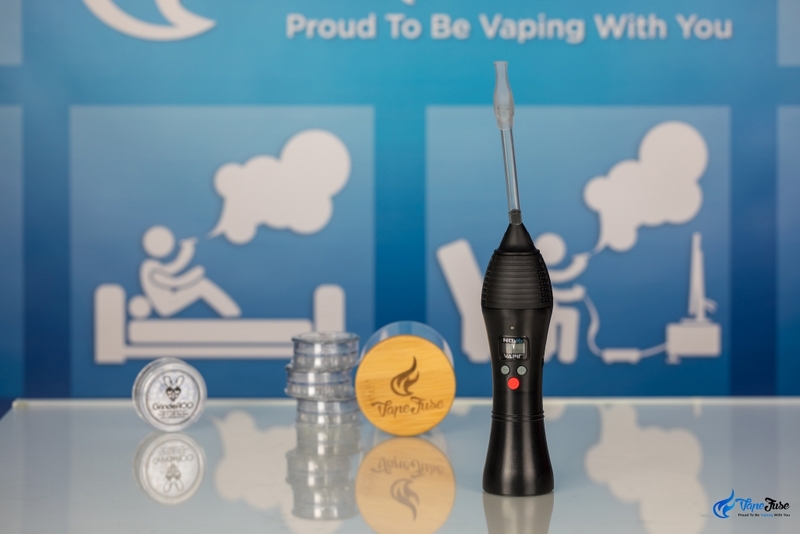 These eRig’s give you the perfect concentrate vaping experience and are able to recreate the effect of a traditional dab rig without the constant need for a torch. These products have revolutionized the concentrate market in America by giving consumers the opportunity to take their blend on the road and not have to worry about it smashing. 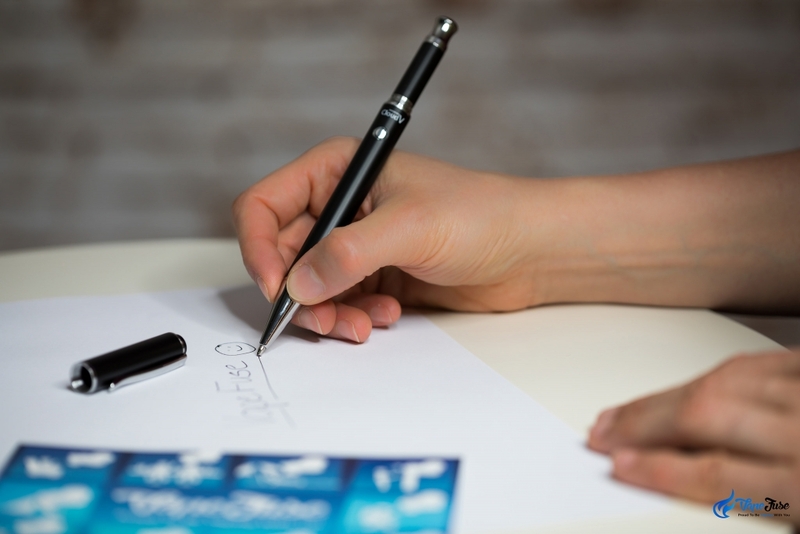 However, now as legal cannabis markets continue to grow, new and innovative products like disposable concentrate pens have begun to become a hot market trend. With all the advancements that’ve been occurring in the world of portable vaping, you can only guess what they’re going to come out with next. Aqua-Bubbler attachments have become a recent trend that I’m really in favor of. It cools down the vapor to create a more pleasant experience and is more like the functionality of a water pipe. Manufacturers like FocusVape and CloudV have begun introducing Aqua-Bubblers that’re compatible with their range of vaporizers, and this is a pattern that I see continuing into the future as we see the development of more and more premium portable devices. While I can’t be certain what the future will hold for portable vaporizers and herb and concentrate vaping, I can be damn sure I’m going to have a fun time finding out! Check out our HUGE range of portable vaporizers at VapeFuse.com and get vaping on-the-go! Crafty vs Starry: Which One’s for You? Arizer Solo vs Solo II – Which Arizer Solo is Right for You? Hey! 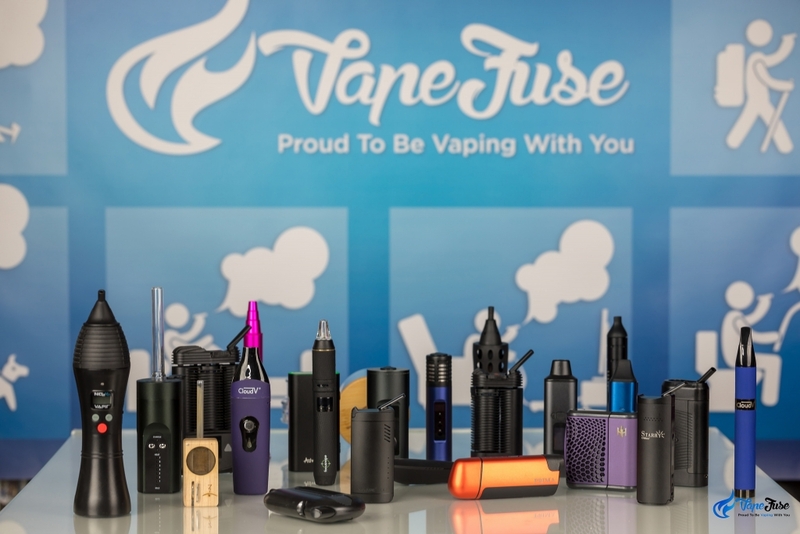 I'm Matt, I've been a member of the VapeFuse family since July 2017 and am passionate about providing customers with the highest quality vapes that are going to revolutionise the way they look at consuming herbs. 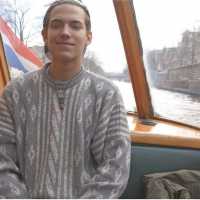 Aside from vaping, I love reading and travelling and have spent a bunch of time over in Europe learning about the herb we all know and love. I'll be keeping you up to date with the latest vape news and content, drop me a line if you have a story you want to share. 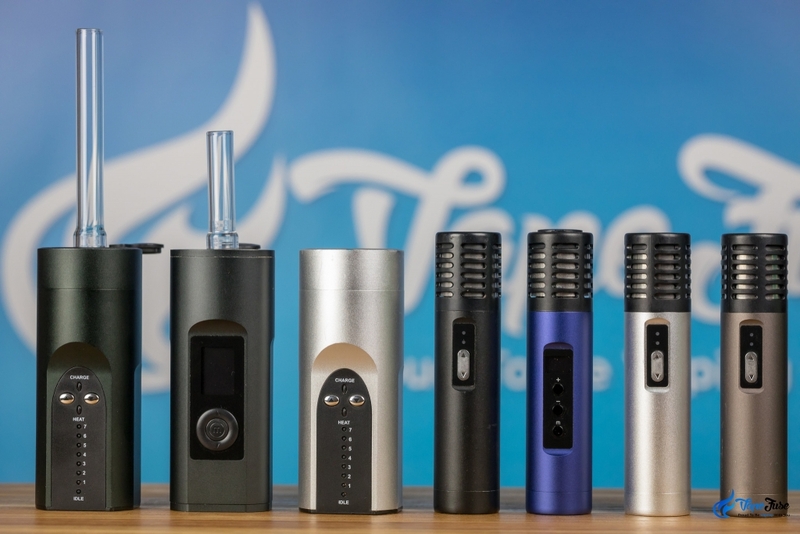 Herb Vaping 101: What Are Full-Convection Vaporizers?